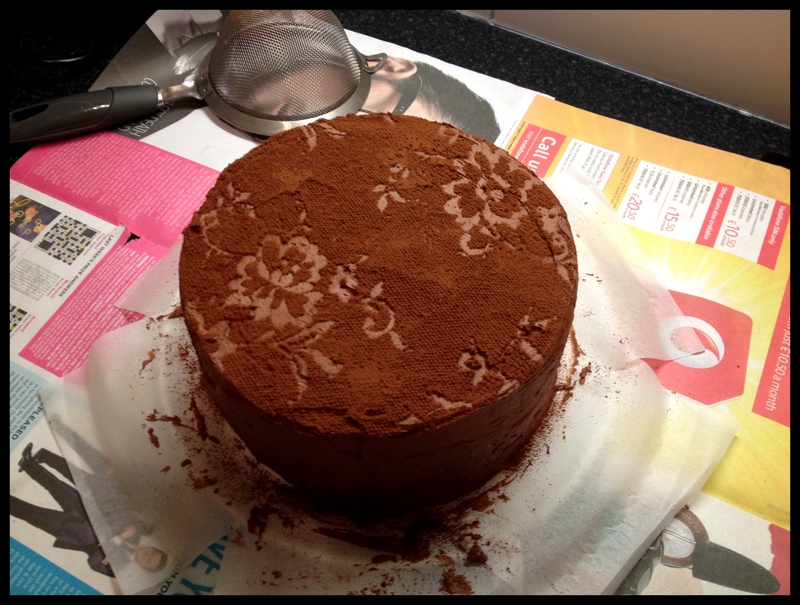 To be honest, I don’t think it really matters how you decorate a homemade cake; people tend to be over the moon not to be eating a Colin the Caterpillar cake from Tesco’s, so anything in addition to the homemade flavour is merely a bonus. That said, it’s rather nice to make an effort for a birthday, especially a ‘big’ birthday. 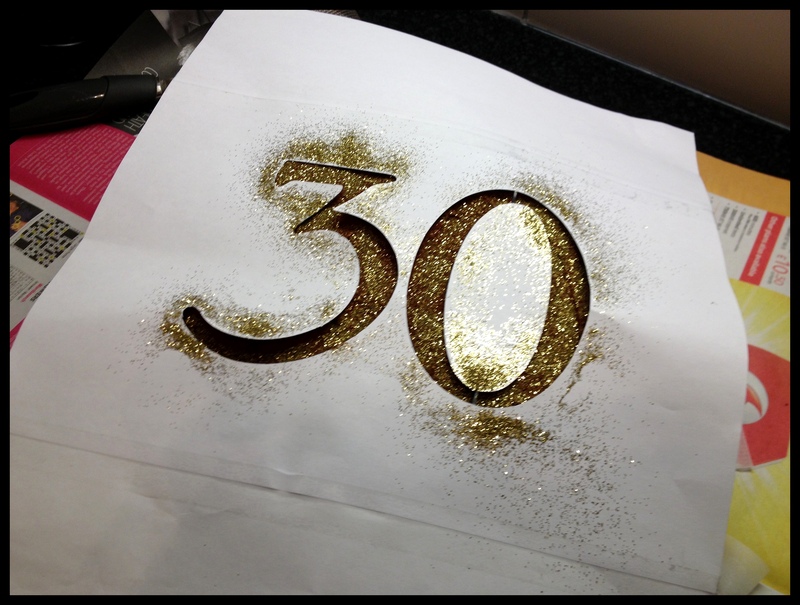 Our fabulous Australian colleague Lauren turned 30 last month, so I wanted to decorate her cake in suitably stylish manner but was a little short of faff time because I put it together on a school night, so I took my previously blogged-about lace decorating a little step further. 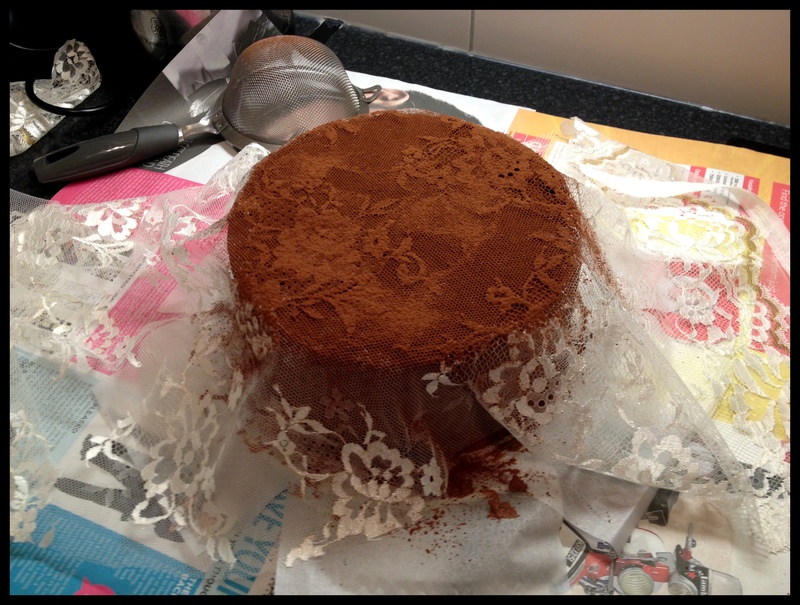 This is a three-layer Devil’s Food Cake with chocolate buttercream. 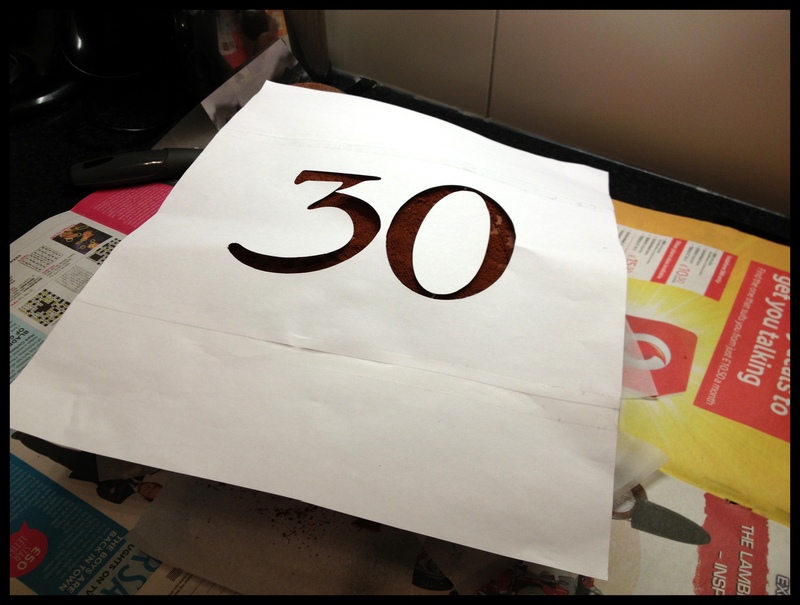 …and TA-DAA! 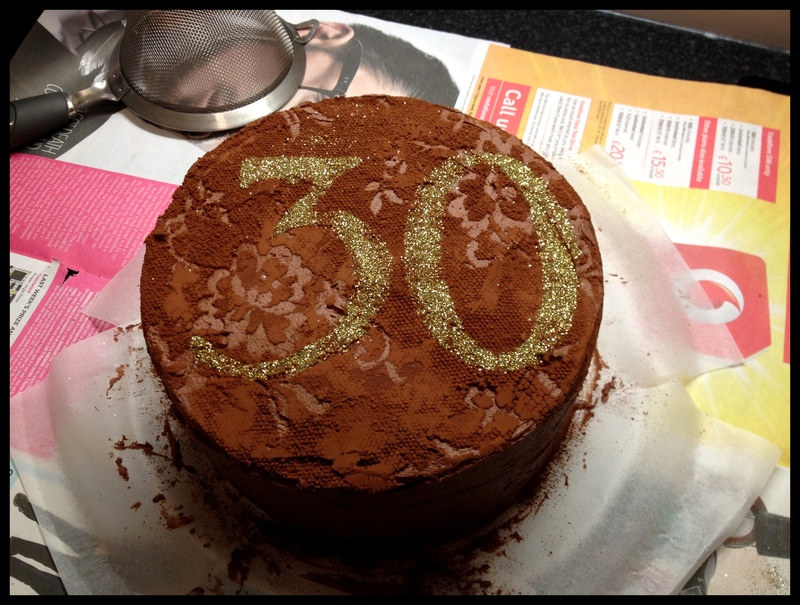 A classy 30th birthday cake for a classy girl. 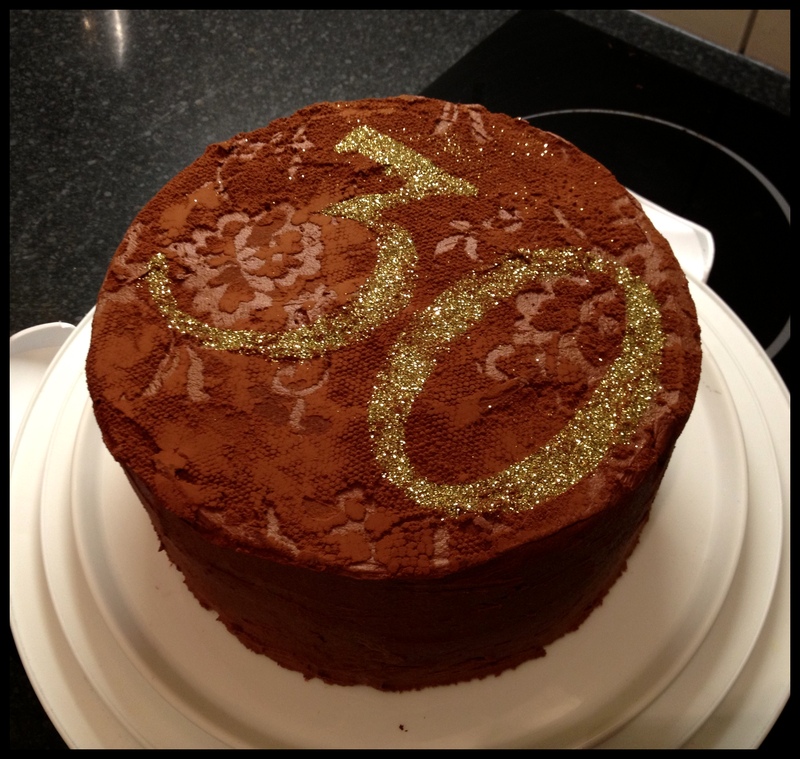 This entry was posted in Cooking & Baking and tagged 30th birthday cake, chocolate cake, classy cake decorating, decorating cakes with lace, devil's food cake, edible glitter by wordspicturesandcake. Bookmark the permalink.